This is new style of Snuggle meant to give a little curl-up place for frightened shelter animals. The psychological effects of this design is a great comfort in feeling safe. Even pets who are safe in their own home would like to have their own Snuggle Tubbie. Photo taken at Countryside Humane Society and modeled by Carson, who is also seeking a home of his own. Stitches: DCL = YO, keeping last lp on hook insert hook in same st, pull up, YO, keeping last lps on hook insert hook in next st, pull up, YO, draw through 2 lps, YO, draw through 2 lps, YO, draw through last three lps on hook. 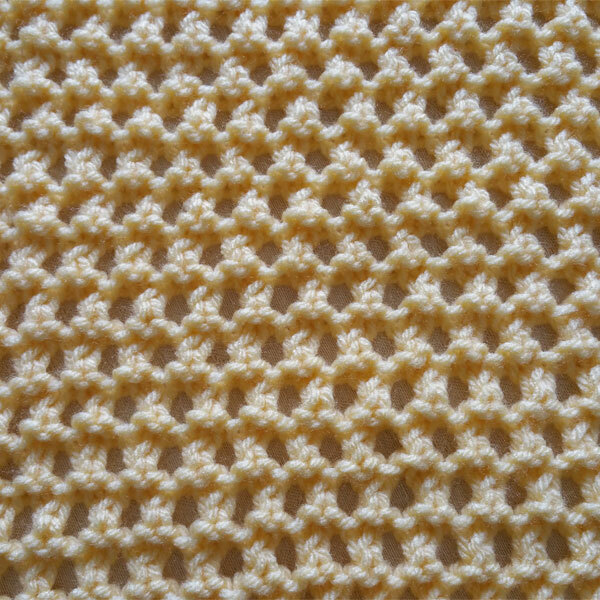 Reverse Single Crochet, aka Crab Stitch = Working left to right, insert hook in next stitch to the right, complete as sc. See diagram below. Pattern is worked in rounds. Right side facing. 1. Form a ring, ch3, 9 dc in ring; join. 2. Ch3 (first dc), 2 dc in each stitch around; join. 3. Ch3, *dc in same st, dc in next st,* repeat between *s around; join. 4. Ch3, *dc in same st, dc in next 2 sts,* repeat between *s around; join. 5. Ch3, *dc in same st, dc in next 3 sts,* repeat between *s around; join. 6. Ch3, *dc in same st, dc in next 4 sts,* repeat between *s around; join. 7. Ch3, *dc in same st, dc in next 5 sts,* repeat between *s around; join. 8. Ch3, *dc in same st, dc in next 6 sts,* repeat between *s around; join. 9. Ch3, *dc in same st, dc in next 7 sts,* repeat between *s around; join. 10. Ch3, *dc in same st, dc in next 8 sts,* repeat between *s around; join. 11. Ch3, *dc in same st, dc in next 9 sts,* repeat between *s around; join. Note: Go to Row 12 to make a small Snuggle Tubbie. 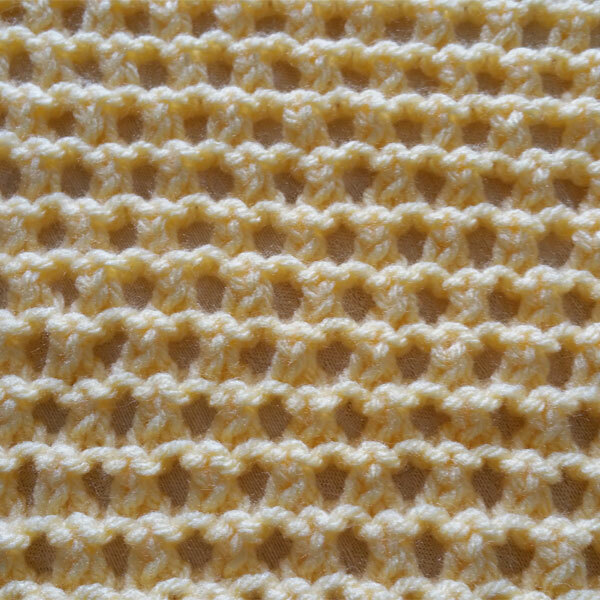 For larger sizes, continue to add rows in this fashion until desired base size. Note 2: The following is worked in rounds. 12. Ch3, *YO, keeping last lp on hook insert hook in same st, pull up, YO, keeping last lps on hook insert hook in next st, pull up, YO, draw through 2 lps, YO, draw through 2 lps, YO, draw through last three lps on hook*: DCL made. Continue to last stitch, do not join, work last stitch as follows (for this row only): YO, keeping last lp on hook insert hook in same st, YO, insert hook in top of first stitch, work off as before. Mark beginning stitch to indicate beginning of round. Continue to work in rounds using DCL to create pattern. Small size end after 9 rounds are made. Medium size end after 12 rows are made. Large size end after 15 rows, or desired height, are made. 13. Ch1, sc in same st, 3 sc, *sc 2 tog (dec made), 3 sc*, repeat between *s around; join. 14. Working left to right, insert hook in next stitch to the right, complete as sc (Reverse SC, aka Crab Stitch, made); continue around. Finish off working long ends through work. (1) Making a Snuggle with a surround pillow: End with Row 12 working the height to be 1 to 1-1/2 times the width, roll edge inward down to Row 12, stuff with fiberfill, sew into place. (2) Crochet Basket (for yourself): End Row 9 (skip rows 10-11), work Row 12 to a height of 9-10 inches, finish off with rows 13 and 14. Use fancy blended yarns for a wonderful gift for yourself or a friend.